Grand Lake is a 5,660 acre lake with 19 islands. 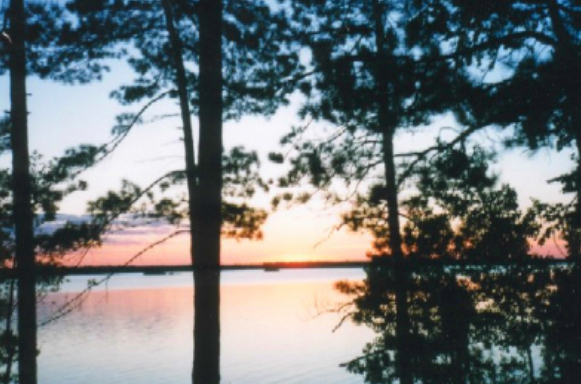 It is the largest lake in Presque Isle County and the 19th largest lake in the State of Michigan. Grand Lake is a good breeding lake for the common loon. Species of fish include the northern pike, walleye, rock bass, small mouth bass, white sucker, yellow perch, bluegill, pumpkin seed, brown bullhead, bowfin, common shiner, long nose gar, large mouth bass, yellow bullhead, green sunfish, and the common carp. We have a dock for the use of our guests. Bring your own boat or rent one from the local marinas. Spectacular views from our deck on the east side of Grand Lake.